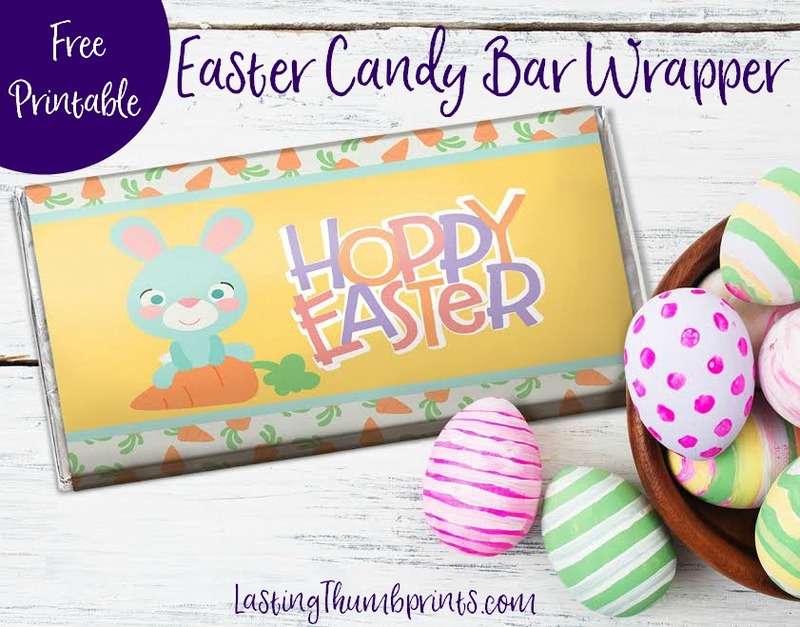 Free Easter Candy Bar Wrapper Printable - Easy Easter Treat! If you’re looking for a fun last minute addition to your Easter basket, I’ve got you covered. Or maybe you waited until the last minute to get Easter candy and the stores are all out? Take a deep breath, it happens. I’ve got you covered too. *This post contains an affiliate link. Read my full disclosure page here. I’ve mentioned before that we don’t do Easter baskets but we do usually give a small gift and a sweet treat or two. This free printable will turn a king size candy bar into an Easter treat. My kids will be thrilled to find a big candy bar at the table! Isn’t it cute? The adorable clipart is from Dorky Doodles. The girl bunnies in the set are so sweet and that ninja bunny? I want to use them all! The Easter candy bar wrapper printable is available to my subscribers. All you have to do is enter your information below and you’ll get it plus more exclusive freebies and content! You can find more great Easter activities and printables for your family here!